William Tilton was born circa 1599 in England. He died in 1653 in Lynn, Essex Co., Massachusetts. He came from England to New England (Massachusetts) sometime before 1643. He was married to Susannah, circa 1637. They had several children including: Abraham, Samuel and Daniel (see next generation). William and his family settled in Lynn, Massachusetts. Apparently, William and his sons were all high educated. William died in 1653 in Lynn, Massachusetts. His widow afterwards married Roger Shaw and moved to Hampton, New Hampshire. William married Susanna circa 1637. She was born circa 1604 in England. She died on January 28, 1654/5 in Hampton, Rockingham Co., New Hampshire. 1 Abraham Tilton was born circa 1638. 2 Samuel Tilton was born on June 16, 1640. Daniel Tilton was born circa 1642 in Lynn, Essex County, Massachusetts. He died on February 10, 1714/5 in Hampton, Rockingham Co., New Hampshire 10. By 1662, Daniel was orphaned and chose his older brother Samuel Tilton as his guardian. Daniel was apparently a blacksmith by trade. In his youth, during the 1660's, he moved to Hampton, New Hampshire. There he was married on December 23, 1669 to Mehitabel Sanborn. They had 11 children: Abigail, Mary, Samuel (see next generation), Joseph, Mercy, Daniel, David, Jethro, Mehitabel, Hannah and Joseph. Daniel was a prominent and probably well-respected man in Hampton, New Hampshire. He served in the Colonial Army during King Phillip's War and in King William's War and received the military title of Ensign. Daniel was for many years Hampton's representative in the New Hampshire General Assembly and also at times the Speaker of the Assembly. In 1714 he asked to be dismissed from the Assembly being "infirm and ancient." He died on February 10, 1714/5 in Hampton, Rockingham County, New Hampshire. Daniel married Mehitabel Sanborn on December 23, 1669 in Hampton, Rockingham Co., New Hampshire. She was born circa 1647 in Hampton, Rockingham Co., New Hampshire. She died after 1691 in Hampton, Rockingham Co., New Hampshire. 1 Abigail Tilton was born on October 28, 1670. 2 Mary Tilton was born on March 9, 1671/2. 4 Joseph Tilton was born on March 19, 1676/7. 5 Mercy Tilton was born on May 25, 1679. 6 Daniel Tilton was born on October 30, 1682. 7 David Tilton was born on October 30, 1682. 8 Jethro Tilton was born circa 1684. 9 Mehitabel Tilton was born on October 3, 1687. 10 Hannah Tilton was born on April 29, 1689. 11 Joseph Tilton was born circa 1691. Samuel Tilton was born on February 14, 1674/5 in Hampton, Rockingham Co., New Hampshire 10. He died before November 1721 in Hampton, Rockingham Co., New Hampshire. Samuel served in King William's War with his father from 1694-1695 and afterwards served at Fort William & Mary in 1708. He was married to Meribah Page on January 10, 1703 in Hampton, New Hampshire. They lived in Hampton for the remainder of their lives and had 4 children: Samuel, Abigail, Meribah and Josiah (see next generation). Samuel died sometime before November 1721 in Hampton, his wife survived him until 1740. Samuel married Meribah Page on January 10, 1702/3 in Hampton, Rockingham Co., New Hampshire 10. She was born on March 17, 1678/9 in Hampton, Rockingham Co., New Hampshire. She died on December 14, 1740 in Hampton, Rockingham Co., New Hampshire. 1 Samuel Tilton was born on November 1, 1703 in Hampton, Rockingham Co., New Hampshire 10. He died before October 26, 1766. He married Abigail Batchelder on January 21, 1730/1 in Hampton Falls, Rockingham Co., New Hampshire. 2 Abigail Tilton was born on May 20, 1706 in Hampton, Rockingham Co., New Hampshire 10. She married Ebenezer Prescott on December 15, 1727 in Hampton Falls, Rockingham Co., New Hampshire. 3 Meribah Tilton was born on December 23, 1707 in Hampton, Rockingham Co., New Hampshire 10. She died on November 23, 1795 in Hampton, Rockingham Co., New Hampshire. She married John Fogg on November 6, 1729 in Hampton Falls, Rockingham Co., New Hampshire. Josiah Tilton was born on April 1, 1709 in Hampton, Rockingham Co., New Hampshire 10. He died on October 15, 1796 in East Kingston, Rockingham Co., New Hampshire. He is buried in the Oak Hill Burial Ground, East Kingston, Rockingham Co., New Hampshire. It seems that Josiah was raised in Hampton, New Hampshire, but was married to a girl from Massachusetts. Josiah was married to Sarah Flanders on February 8, 1732/3 in Salisbury, Essex County, Massachusetts. They seem to have soon after moved to Kingston, New Hampshire. In 1734, his wife was admitted to the church there and he was admitted in 1735. In 1738, Josiah signed a petition for a new parish in the eastern part of Kingston. This place that he lived in, known as East Kingston, was where he stayed for the rest of his life. Josiah and Sarah had 7 children: Samuel, David, Meribah, Philip, Josiah (see next generation), Sarah, and Ebenezer. Josiah's wife Sarah died in 1795 and he followed her to the grave on October 15, 1796 in East Kingston, Rockingham County, New Hampshire. Josiah married Sarah Flanders on February 8, 1732/3 in Salisbury, Essex Co., Massachusetts. She was born on November 16, 1710 in Salisbury, Essex Co., Massachusetts. She died on February 20, 1795 in East Kingston, Rockingham Co., New Hampshire. She is buried in the Oak Hill Burial Ground, East Kingston, Rockingham Co., New Hampshire. 1 Samuel Tilton was born on December 1, 1733 in East Kingston, Rockingham Co., New Hampshire. He died circa 1778 in Deerfield, Rockingham Co., New Hampshire. He married Rebecca Prescott. 2 David Tilton was born on October 27, 1735 in East Kingston, Rockingham Co., New Hampshire. He died on August 27, 1825 in East Kingston, Rockingham Co., New Hampshire. He married Jane Greely on March 26, 1760. 3 Meribah Tilton was born on March 9, 1737/8 in East Kingston, Rockingham Co., New Hampshire. She married Benjamin Smith on October 11, 1757. 4 Philip Tilton was born on April 10, 1741 in East Kingston, Rockingham Co., New Hampshire. He died on January 26, 1835 in East Kingston, Rockingham Co., New Hampshire. He married Mary Batchelder on September 11, 1766 in South Hampton, Rockingham Co., New Hampshire. 6 Sarah Tilton was born on March 29, 1750 in East Kingston, Rockingham Co., New Hampshire. She died circa 1821. She married Elisha Blake on November 5, 1771. 7 Ebenezer Tilton was born on October 3, 1754 in East Kingston, Rockingham Co., New Hampshire. He married Lucy Prescott on January 23, 1777 in Deerfield, Rockingham Co., New Hampshire. Josiah Tilton was born on October 22, 1743 in East Kingston, Rockingham Co., New Hampshire. He died on February 13, 1820 in Cornville, Somerset Co., Maine. He is buried in the Fogg Cemetery, Cornville, Somerset Co., Maine. He was baptized in East Kingston on November 17, 1745. Josiah was married in East Kingston, circa 1768, to Sarah True. After the marriage the couple moved to Deerfield, New Hampshire. There they had 5 children: Samuel, Meribah, Josiah (see next generation), Sally and Hulda. Sadly, his wife Sarah died sometime in Deerfield, New Hampshire in the late 1780's. Josiah was remarried on October 25, 1789 to Abigail Nudd. Together they had 3 children: Abraham, Horatio and Daniel. Sometime in his older age, Josiah moved to Cornville in Somerset County, Maine, where he died on February 13, 1820. Josiah married first Sarah True circa 1768 in East Kingston, Rockingham Co., New Hampshire. She was born on June 21, 1748 in Salisbury, Essex Co., Massachusetts. She died between 1786-1789 in Deerfield, Rockingham Co., New Hampshire. 1 Samuel Tilton was born circa 1771 in Deerfield, Rockingham Co., New Hampshire. He married Sarah Batchelder on September 30, 1795. 2 Meribah Tilton was born circa 1775 in Deerfield, Rockingham Co., New Hampshire. She married Daniel Currier on January 6, 1795. 4 Sally Tilton was born circa 1779 in Deerfield, Rockingham Co., New Hampshire. 5 Hulda Tilton was born circa 1786 in Deerfield, Rockingham Co., New Hampshire. Josiah married second Abigail Nudd on October 25, 1789. 1 Abraham True Tilton was born in Deerfield, Rockingham Co., New Hampshire. 2 Horatio Gales Tilton was born in Deerfield, Rockingham Co., New Hampshire. 3 Daniel Tilton was born circa 1796 in Deerfield, Rockingham Co., New Hampshire. Josiah Tilton was born on February 28, 1778 in Deerfield, Rockingham Co., New Hampshire 24,32. He died on August 20, 1860 in Deerfield, Rockingham Co., New Hampshire 24,32. He is buried in the Tilton Cemetery, Deerfield, Rockingham Co., New Hampshire. While his father moved away to Maine, Josiah remained in Deerfield. He was a farmer by trade and was married on March 7, 1800, in Deerfield, to Sarah Dearborn. They lived in Deerfield where they had 12 children: George, Harriet, Mary, Irene, Samuel, Albert, Sarah, Josiah, Jeremiah (see next generation), Julia, Asa and Frances. Josiah was a farmer and also a tanner and a shoemaker. During the War of 1812, Josiah enlisted as a minuteman but never went. Josiah died on August 20, 1860 in Deerfield, New Hampshire. His widow Sarah died in 1864 in Deerfield. He was a farmer and also a tanner and shoemaker. Had poor advantages for education - only the common district school - little of that. He was 6 feet in his stockings. When he was a boy the common way of punishing in school was spanking - there were no arithmetics but the master put sums on the board from his book. He was medium flesh, rather solidly built, square shouldered, straight, very erect till his last years. His eyes were gray and keen, his hair auburn brown straight, his nose yankee, that is, prominent and indicative of character. He was very active, in politics a whig, a good citizen, in church matters, he first joined the Congregational church but became dissatisfied about baptism and joined the Baptist church. He left this church on account of their introducing musical instruments and never regularly attended church thereafter - he dissented and the church excluded him...Enlisted as a minuteman to go to Portsmouth in the war of 1812 but did not go. Josiah married Sarah Dearborn on March 7, 1800 in Deerfield, Rockingham Co., New Hampshire 24. 1 George Pearly/Perley Tilton was born on November 26, 1800 in Deerfield, Rockingham Co., New Hampshire 13,24. He died on August 1, 1883 in Peabody, Essex Co., Massachusetts 21. He married first Elizabeth Hamblett Dakin on May 11, 1828 in Danvers, Essex Co., Massachusetts 13. (She was born on December 18, 1798 in Needham, Massachusetts 13 and died on March 23, 1848 in Danvers, Essex Co., Massachusetts 13). George was a farmer and also a victualer (generally a person who supplies food and nourishment to an army). George does not appear to have been living with his parents in the 1820 census. He eventually moved to Danvers, Massachusetts sometime before 1828. He and his family lived in the part of Danvers that became South Danvers in 1855 and then Peabody in 1868. 2 Harriet Tilton was born on July 21, 1802 in Deerfield, Rockingham Co., New Hampshire 24,38. She died on October 6, 1887 in Limerick, York Co., Maine 38. She is buried in the Baptist Society Church Cemetery, Limerick, York Co., Maine. Marshall and Harriet were married in Portsmouth, New Hampshire and may have spent the first year or two of marriage there. In 1828, Marshall was chosen as a culler and fish packer for the town of Portsmouth. In 1830, they were living in Waterboro, Maine and in 1840, they were in Limerick, Maine, where they remained. Marshall worked as a cooper for the majority of his life. 3 Mary Jane Tilton was born on August 8, 1804 in Deerfield, Rockingham Co., New Hampshire 24. She died on August 4, 1878 in East Boston, Suffolk Co., Massachusetts 24. She is buried in the Mount Auburn Cemetery, Cambridge, Middlesex Co., Massachusetts. Mary and her family were living in Portsmouth, New Hampshire in 1833, but had moved to East Boston, Massachusetts by 1836, where they remained. 4 Irene Tilton was born on March 23, 1806 in Deerfield, Rockingham Co., New Hampshire 24,32. She died on April 4, 1889 in Sanbornton, Belknap Co., New Hampshire 24,32. She is buried in the Tilton Cemetery, Deerfield, Rockingham Co., New Hampshire. She never married. After her mother died in Deerfield in 1864, she went to Sanbornton, New Hampshire to live with her brother Jeremiah. In 1866, she moved with his family to Milford, New Hampshire and in 1875 moved with them to Rumney, New Hampshire. In 1882, they moved back to Sanbornton, where she died at the age of 83. 5 Samuel Dearborn Tilton was born on December 15, 1807 in Deerfield, Rockingham Co., New Hampshire 24. He died on April 19, 1881 in Salem, Essex Co., Massachusetts 22. Samuel was a house carpenter and settled at Salem, Massachusetts before 1831. 6 Albert Freeman Tilton was born on October 15 19 or 16 24, 1809 in Deerfield, Rockingham Co., New Hampshire. He died on September 26, 1850 in Franklin, Johnson Co., Indiana 19. He is buried in the Greenlawn Cemetery, Franklin, Johnson Co., Indiana. Albert was a minister of the Baptist church. He was educated at the Colby College in Waterville, Maine where he graduated in 1835. He was then principal of the Townshend Academy in Townshend, VT from 1835 to 1836. He was a teacher in Boone Co., Kentucky from 1836 to 1837. In 1837, he returned to Waterville to marry. Sometime before 1840, they moved to Franklin, Indiana, where he was a Baptist minister. In 1844, they moved back to Waterville, Maine, and was a pastor of the West Waterville Baptist Church. They returned to Franklin, Indiana in 1849, where Albert died the following year. 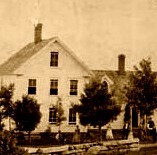 After Albert's death, Rebecca returned to Maine and apparently stayed with the West Waterville Baptist Church until 1853. She remarried Arthur Drinkwater in 1862, who was also a Baptist minister. After her last child died, Rebecca adopted her husband's nephew of the same name in 1861. Sadly, he died in 1876, not long after his marriage to Annie Lowe. Annie then married Rebecca's nephew Francis Moor. 7 Sarah True Tilton was born on November 10, 1811 in Deerfield, Rockingham Co., New Hampshire 24,32. She died on November 16, 1834 in Portsmouth, Rockingham Co., New Hampshire 24,32. She is buried in the Tilton Cemetery, Deerfield, Rockingham Co., New Hampshire. She never married. She was away from her family when she died in Portsmouth at the age of 23. She was probably living with her sister Mary Tilton Butler at the time and may have been engaged in some kind of education there. 8 Josiah Holton Tilton was born on October 31, 1814 in Deerfield, Rockingham Co., New Hampshire 24. He died on April 24 24 or 25 33, 1905 in Reading, Middlesex Co., Massachusetts. He is buried in the Laurel Hill Cemetery, Reading, Middlesex Co., Massachusetts. Josiah was a Baptist minister and was first ordained in 1840. He had a long career working as a pastor in different Baptist churches around New England. He and his family lived in Limerick, Maine; Natick, Rhode Island; and the following towns in Massachusetts: Gardner, Holden, Amesbury, Lynn, Brookfield, Kingston, Palmer, Orange, Uxbridge, Hyde Park, Chelmsford, and Reading. He retired from ministry in 1890 and remained in the town of Reading, Massachusetts. 10 Julia Dearborn Tilton was born on February 21, 1819 in Deerfield, Rockingham Co., New Hampshire 24,32. She died on October 12, 1860 24,32, probably in Deerfield, Rockingham Co., New Hampshire. She is buried in the Tilton Cemetery, Deerfield, Rockingham Co., New Hampshire. 11 Asa Tilton was born circa 1821 in Deerfield, Rockingham Co., New Hampshire. He died young in Deerfield, Rockingham Co., New Hampshire 24. 12 Frances Tilton was born circa 1821 in Deerfield, Rockingham Co., New Hampshire. She died young in Deerfield, Rockingham Co., New Hampshire 24. Jeremiah Dearborn Tilton was born on September 16, 1816 in Deerfield, Rockingham Co., New Hampshire 1,4,6,17,24,31. He died on October 5, 1893 in Tilton, Belknap Co., New Hampshire 4,6,17,31 or in Littleton, Grafton Co., New Hampshire 24. He is buried in the Park Cemetery, Tilton, Belknap Co., New Hampshire. Jeremiah was named after his maternal grandfather (Jeremiah Dearborn) who had died five months before his birth. Jeremiah was one of the youngest children in large family. Jeremiah's father was a farmer, tanner and shoemaker. The Tiltons were also quite religious: his mother was a fervent Congregationalist while his father became a Baptist and then a dissident to any denomination. But while Jeremiah's parents were not wealthy or highly educated, they put the education of their children as a priority. From his youth it appears that Jeremiah was gifted. He was probably the Jeremiah D. Tilton who received a one-dollar award for winning a juvenile literature contest in 1825 (when he would have been 8 or 9). Jeremiah attended preparatory schools in Deerfield Parade, New Hampshire as well as Portsmouth, New Hampshire 31. He then attended the Limerick Academy in Limerick, Maine 31 (probably during the late 1830s). In the 1840 census, Jeremiah was most likely the male of his age group living in the household of his brother Josiah Tilton in Limerick. Jeremiah probably moved back to Deerfield, New Hampshire in 1840, perhaps to come back and start a family or to give assistance to his elderly parents. In December 1840, Jeremiah married Abigail Freese, the daughter of a prominent local politician and official. They settled in Deerfield where Jeremiah worked as a farmer, tanner and shoemaker. Jeremiah subsisted in this way for 10 years before he could begin to realize his higher ambitions. It is said that he felt called upon by the Word of God to preach the Gospel. This appears to be a romanticized version of the truth. Because he already had two older brothers who were working as Baptist ministers, family pressure may have had something to do with his decision. Jeremiah was finally licensed to preach by the Deerfield Baptist Church. Then in late 1850, Jeremiah moved his family back to Limerick, Maine where he began preaching. Jeremiah served as pastor for the Limerick Baptist Church from 1850 to 1854 31. He was also ordained by that church in February 1851 31. In November 1854, he moved his family to Sanbornton, New Hampshire, where he became pastor of the First Baptist Church there. It was while living in Sanbornton that Jeremiah's wife Abigail died in childbirth in 1858. After the death of his wife, Jeremiah was probably in a difficult situation. He had 12 young children between the ages of infancy and 17 years and as a minister would probably not have had much money. Nearly two years later, in May 1860, Jeremiah married to Martha Jackman, from Woodstock, New Hampshire. In 1861, Jeremiah gave up his son Albert Tilton for adoption to his widowed sister-in-law Rebecca Tilton in Waterville, Maine. (Rebecca had lost her husband and all three of her children to early deaths. Jeremiah probably thought his son Albert would have a loving home with his sister-in-law, rather than in his own crowded home with 12 other children.) Then in 1864, after the death of his mother, his unmarried sister Irene Tilton came to live with him and remained in his home until her death in 1889. The Tiltons stayed in Sanbornton until June of 1866, when they moved to Milford, New Hampshire (where Jeremiah became pastor of their Baptist church) 31. They remained there until July 1873, when they moved to Rumney, New Hampshire (where he became pastor of the Baker's River Baptist Church) 31. In May 1882, they moved back to Sanbornton, where Jeremiah once again served as pastor for the First Baptist Church 31. He retired in September 1885, ending a 35 year career as a pastor in four different Baptist churches. At that time, he moved once again to Milford, New Hampshire 31. Then in November 1891, he moved to Tilton, New Hampshire 31 (which had been carved out of the southern half of Sanbornton), where he died at the age of 77. He was buried beside his first wife Abigail in the James Cemetery in Deerfield, New Hampshire. Five months later, Jeremiah's widow Martha died. Then in April of 1894, all of their graves were exhumed from the James Cemetery and reburied at the Park Cemetery in Tilton, New Hampshire. Jeremiah married first Abigail Stearns Freese on December 31, 1839 1 or 1840 6,26,29 in Deerfield, Rockingham Co., New Hampshire. 1 Austin Valencourt Tilton was born on July 26 24 or 28 1,6,31, 1841 in Deerfield, Rockingham Co., New Hampshire. He died on November 15, 1885 in Concord, Merrimack Co., New Hampshire 6,8,31. Austin was educated at Colby Academy in New London, New Hampshire; Brown University in Providence, Rhode Island and also at the Newton Theological Seminary in Newton Center, Massachusetts. He followed in the family tradition of working as a minister in the Baptist church. He first served as minister of the Baptist church in Keene, New Hampshire from 1869 to 1872. Then from 1872 to 1874, he served as minister in Augusta, Maine, before settling in Campton, New Hampshire in 1876. He also spent brief periods of time living in Londonderry, (New Hampshire? ); preaching in Burlington, Iowa; and teaching "freedmen" in Mississippi. Austin died from "jaundice and melancholia." 3 Sarah Freese Tilton was born on February 10, 1844 in Deerfield, Rockingham Co., New Hampshire 1,6,24,26. She died on July 26, 1924 in East Fairfield, Franklin Co., Vermont 6,8. She is buried in the Blossom Hill Cemetery, Concord, Merrimack Co., New Hampshire. All three triplets were named Sarah, after different Sarahs in their family tree. They were probably all given the same name because it was assumed that they would not survive, but only one them died as an infant. To differentiate between the two that survived, Sarah Freese was called "Sallie" while Sarah True was called "Sarah." During parts of her life though, she sometimes used the name "Alice". Sallie never married and remained close to her twin sister Sarah throughout her life. After Sarah married in 1866, Sallie moved to Concord, New Hampshire to live with Sarah and her husband. In 1870, Sallie was making income by working in a shop. Sallie remained in Concord until the death of her brother-in-law in 1913. After this, she moved to Northfield, New Hampshire to live with her half-sister Ellen Crockett. She died during the brief period that the Crockett family lived in Vermont. 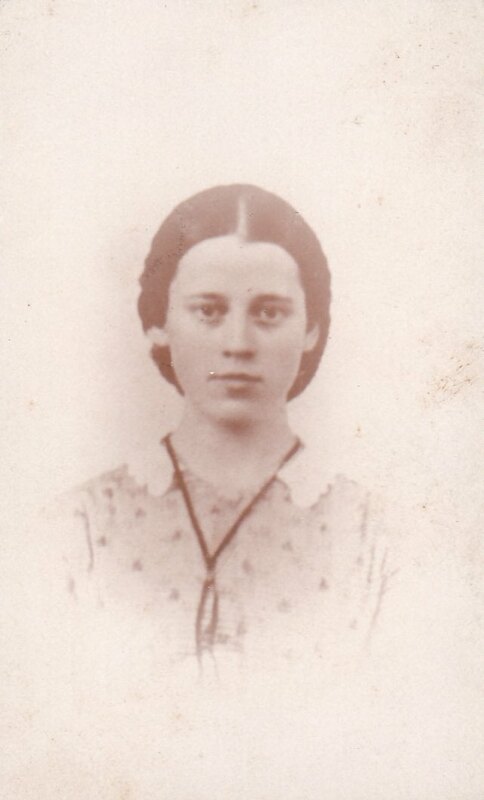 4 Sarah French Tilton was born on February 10, 1844 in Deerfield, Rockingham Co., New Hampshire 1,6,24,26. She died on February 10 6 or 12 8, 1844 in Deerfield, Rockingham Co., New Hampshire. 5 Sarah True Tilton was born on February 10, 1844 in Deerfield, Rockingham Co., New Hampshire 1,6,24,26. She died on August 8, 1903 in Concord, Merrimack Co., New Hampshire 6,8,24. She is buried in the Blossom Hill Cemetery, Concord, Merrimack Co., New Hampshire. Sarah was married shortly after her family moved to Milford. By 1870, they had moved to Concord, New Hampshire, where they remained. Lyman worked as a life insurance agent and the family lived at 33 Merrimack Street. Sarah died from diabetes. 6 Harriet Inez Tilton was born on October 7, 1845 in Deerfield, Rockingham Co., New Hampshire 1,6,24. She died on November 1, 1926 8 or 1928 6 in Milford, Hillsborough Co., New Hampshire. John and Harriet first settled in Amherst, New Hampshire but had moved to Milford, New Hampshire prior to 1900, where they had a clothing business. Eventually, the clothing business was taken over by Harriet's nephew Fred Wadleigh. 7 Carey Fuller Tilton was born on January 10, 1848 in Deerfield, Rockingham Co., New Hampshire 1,6,24. He died on November 11, 1875 in Concord, Merrimack Co., New Hampshire 1,6,24. Carey had a picture frame business in Concord. Carey died from "inflammation of the bowels." His widow afterwards married Ira Hutchinson. 8 Oscar Irving Tilton was born on September 24, 1849 in Deerfield, Rockingham Co., New Hampshire 1,6,17,24. He died on February 23 24 or February 3 1,6,17 or 23 24, 1864 in Sanbornton, Belknap Co., New Hampshire. He is buried in the Park Cemetery, Tilton, Belknap Co., New Hampshire. 9 Albert Freeman Tilton was born on May 18 24 or 29 1,6,20, 1851 in Limerick, York Co., Maine. He died on February 26 1,6 or 28 20,24, 1876 in Waterville, Kennebec Co., Maine. He is buried in the Pine Grove Cemetery, Waterville, Kennebec Co., Maine. In about 1861, Albert was adopted by his widowed aunt, Rebecca Moor Tilton of Waterville, Maine. Rebecca had previously lost her husband and all five of her children, one of which was also named Albert Freeman Tilton. Albert apparently assumed the identity of his dead cousin. Albert then moved to Waterville, Maine, where he spent the remainder of his childhood. He was trained as a jeweler and watchmaker in Waltham, Massachusetts. He returned to Waterville where he plied his trade there. He died from "congestion of the lungs" at an early age. His widow afterwards married Francis A. Moor, who was the nephew of Albert's adopted mother (and aunt) Rebecca Moor Tilton Drinkwater. 10 Josiah Odin Tilton was born on July 29, 1853 in Limerick, York Co., Maine 1,6,20,24. He died on December 2, 1943 in Lexington, Middlesex Co., Massachusetts 6. He married first Harriet Amanda French on April 30, 1884 in Peterborough, Hillsborough Co., New Hampshire 24. (She was born on April 27, 1858 in Keene, Cheshire Co., New Hampshire 24 or August 27, 1858 in Peterborough, Hillsborough Co., New Hampshire 20 and died on October 26, 1886 in Peterborough, Hillsborough Co., New Hampshire 24). As a youth, Josiah attended schools in Sanbornton and Milford, New Hampshire. He then attended Colby College in Waterville, Maine where he graduated A.B. (Bachelor of Arts) in 1875 and A.M. (Master of Arts) in 1878. After this, he attended the Medical College at the University of New York where he graduated with an M.D. in 1882. Afterwards, he taught at the Peddie Institute in New Jersey and was principal of the high school in Peterborough, New Hampshire. He settled in Lexington, Massachusetts where he practiced as a physician and was a prominent citizen. 11 Mary Eliza Tilton was born on August 21, 1856 in Sanbornton, Belknap Co., New Hampshire 1,6,24. She died on August 19, 1890 in Quincy, Norfolk Co., Massachusetts 6,24. She is buried in the West Street Cemetery, Milford, Hillsborough Co., New Hampshire. Mary attended Colby Academy in New London, New Hampshire where she graduated in 1883. She then attended the New Hampshire State Normal School in Plymouth, New Hampshire with the goal of becoming a teacher. After this, she worked as principal of high schools in Michigan and New York and at the Pillsbury Academy in Owatonna, Minnesota. She died in a railroad accident in Quincy, two days before her 34th birthday. She never married or had children. 12 William Freese Tilton was born on June 2, 1858 in Sanbornton, Belknap Co., New Hampshire 1,6,24. He died on July 15, 1933 in Mount Vernon, Westchester Co., New York 6. After his marriage, they lived briefly in Emma's hometown of Natick, Massachusetts, before settling in Mount Vernon, New York before 1900. William worked in the insurance business. He eventually became a vice president for New York Underwriters Salvadge Company. Jeremiah married second Martha Jackman on May 1, 1860 in Sanbornton, Belknap Co., New Hampshire 1 or in Woodstock, Grafton Co., New Hampshire 6. She was born on April 18, 1822 in Canterbury, Merrimack Co., New Hampshire 1,6,17. She died on March 5, 1894 in Tilton, Belknap Co., New Hampshire 6,8,17. She is buried in the Park Cemetery, Tilton, Belknap Co., New Hampshire. 13 Ellen Grace Tilton was born on October 16, 1861 in Sanbornton, Belknap Co., New Hampshire 1,6,24. She died on January 14, 1925 in East Fairfield, Franklin Co., Vermont 6. Ellen was educated at the Colby Academy in New London, New Hampshire. Afterwards and until her marriage, she worked as a public school teacher, mostly in Sanbornton. Beginning in 1895 and for many years after, she served on the Union District Graded School Board. 14 Royal Jeremiah Tilton was born on October 25, 1863 in Sanbornton, Belknap Co., New Hampshire 1,6,24. He died on January 4, 1896 in Steilacoom, Pierce Co., Washington 6,36. He is buried in the Western State Hospital Memorial Cemetery, Steilacoom, Pierce Co., Washington. Royal never married or had children. He attended Colby College in Waterville, Maine, where he graduated in 1888. He moved out west to Washington State and worked as a teacher. In 1890 he was living in Seattle, Washington and in 1891, he was living in Arlington, Washington and took a certification examination that year. 15 Martha Lucretia Tilton was born on January 21 1 or 27 6,17,24, 1866 in Sanbornton, Belknap Co., New Hampshire. She died on October 30, 1944 in Manchester, Hillsborough Co., New Hampshire 17,35. She is buried in the Park Cemetery, Tilton, Belknap Co., New Hampshire. She never married or had any children. Martha worked for many years as an art professor at Elmira College in Elmira, New York. Before that she apparently was Director of the Art Institute of Chicago [Illinois] and also apparently taught at times in Rhode Island and Virginia. Abigail Ruthena Tilton was born on November 22, 1842 in Deerfield, Rockingham Co., New Hampshire 1,2,3,24,30. She died on July 20, 1929 in Franklin, Merrimack Co., New Hampshire 2,3. She is buried in the Franklin Cemetery, Franklin, Merrimack Co., New Hampshire. Abigail (sometimes called "Abbie") spent her earliest years in Deerfield, New Hampshire. She then lived with her family in Limerick, Maine from 1850 to 1854. In 1854, they moved to Sanbornton, New Hampshire, where they remained until Abbie was married. (Abigail probably lived in this house with her family from 1854 until 1864.) Her father was a Baptist minister and with a family of 14 children, they probably did not have much money. Abbie lost her mother in June of 1858, when she was only 15 years old. Her father did not remarry for two years and the role of "oldest woman in the household" would have gone to Abbie (who would have helped to help care for her nine younger siblings between the ages of infancy and 13 years). Although the Tiltons probably had limited financial resources, Jeremiah put much importance on the education of his children, including his daughters. Abbie was educated in the public schools in Sanbornton and afterwards attended the Seminary Schools at nearby Tilton, New Hampshire and New Hampton, New Hampshire 30. Like several of her sisters (Mary, Ellen and Martha), Abbie worked as a school teacher. although it is not known exactly when or where she taught school. She was still working as a teacher when she married at the age of 21 in 1864 37. In 1864, Abbie married John Wadleigh, a local farmer who she probably first met when she moved to Sanbornton in 1854. After the marriage, the young couple settled on the Wadleigh homestead in Sanbornton, where they began to raise a family. They lived in an old house on the Wadleigh land. They stayed there until the late 1870s, when the house was abandoned and they moved into a new house her husband had built a short distance away (this house is still standing to this day, at 138 Brook Road in Sanbornton). Abbie was a member of the First Baptist Church in Sanbornton for the remainder of her life. She served as church clerk for many years and was also president of the Ladies' Circle of the church 37. Abbie seems to have been a kind-hearted woman. She was a good mother and appears to have remained close to her siblings, especially Hattie and William. Abbie and John continued to live at their farmhouse, even as most of their children (except daughter Helen, who had some kind of mental illness) moved out of the home. In 1912, John died, leaving Abbie a widow at the age of 69. She continued to live in the Sanbornton house with her daughter Helen. In early 1928, old age and bad health compelled her to move in with her daughter Inez, who lived in nearby Franklin, New Hampshire 30. She had a fall there in April 1929, which made her bedridden and signaled a downward spiral 30. She died on July 20, 1929, at the age of 86 years. Abigail married John Blake Wadleigh on October 9 1,30 or November 9 24,25,37, 1864 in Sanbornton, Belknap Co., New Hampshire. 1. Runnels, Rev. M. T. History of Sanbornton, New Hampshire. Alfred Mudge & Son, Boston, 1881. 12. Currier, Harvey L. Genealogy of Richard Currier of Salisbury and Amesbury, Massachusetts, (1616-1686/7) and many of his descendants. Orleans County Historical Society, Newport, VT, 1910. 13. Vital Records of Danvers, Massachusetts, to the end of the year 1849. The Essex Institute, Salem, MA, 1909. 14. Vital Records of Salem, Massachusetts, to the end of the year 1849. The Essex Institute, Salem, MA, 1916. 15. Vital Records of West Newbury, Massachusetts, to the end of the year 1849. The Essex Institute, Salem, MA, 1918. 16. Estes, David Foster. The History of Holden, Massachusetts: 1684-1894. C. F. Lawrence & Co., Worcester, MA, 1894. 17. Tombstone inscriptions, Park Cemetery, Tilton, NH. 20. Bridge, Rev. William D. Genealogy of the John Bridge Family in America, 1632-1924. The Murray Printing Co., Cambridge, MA, 1924. 21. 1884 Directory of Peabody, MA. 22. 1882 Directory of Salem, MA. 23. 1904 Directory of Salem, MA. 24. Locke, Arthur H. A history and genealogy of Captain John Locke (1627-1696) of Portsmouth and Rye, N.H., and his descendants : also of Nathaniel. The Rumsford Press, Concord, NH, 1916?. 25. Wadleigh, Donald. The Wadleigh Chronicle. Heritage Books, Inc., Bowie, MD, 1992. 26. Van Wagenen, Avis Stearns. Genealogy and Memoirs of Isaac Stearns and his Descendants. Courier Printing, Syracuse, NY, 1901. 29. Freese, John W. Freese Families. Caustic Claflin Co., Cambridge, MA. 31. Carter, Rev. N. F. The Native Ministry of New Hampshire. Rumford Printing Co., Concord, NH, 1906. 32. Tombstone inscriptions, Tilton Cemetery, Deerfield, Rockingham Co., NH. 36. Colby College, General Catalouge of Officers, Graduates and Former Students of Colby College (Waterville, ME; 1920). 38. Tombstone inscriptions, Baptist Society Church Cemetery, Limerick, Maine.